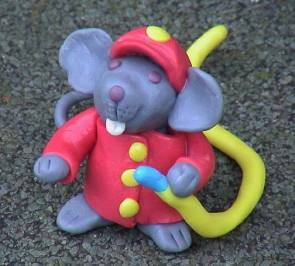 This site is about my hobby, my experiences with polymer (Fimo and Creall-therm) clay. Is has become a site with lots of pictures and information. Have fun! *A totally new version of this site can be viewed at: fimo-frutsels. Nothing from this site may be copied or used without mentioning my site name.